We invite you to the Communicum research workshop. The workshop is a networking tool that enables researchers, teachers and doctoral students in Aalto University and the University of Helsinki to get acquainted with each others’ media and communication-related research questions and themes of interest. The first workshop will take place on Monday 19th of December between 2 and 5 p.m. at the Aalto Töölö campus (School of Economics). After the workshop the participants can together enjoy small snacks and refreshments. To participate in the workshop, please register by filling a form at http://tinyurl.com/d7ozgyh by December 4th. Please include your name, contact information and, importantly, three themes that interest you the most in media and communication studies. These themes can relate either to research areas or methodology. The participants will receive more information of the workshop in December. The Department of Communication at Aalto ECON and Communication Studies at the Department of Social Research at the University of Helsinki set in motion the Communicum initiative in late 2010. The aim is to facilitate collaboration between researchers, teachers and students of media and communication at Aalto University and the University of Helsinki. During the process also Aalto TAIK Department of Media and Aalto SCI Department of Media Technology have joined the Communicum project, as well as the Department of Economics and Management at the University of Helsinki. In the beginning, a concrete output of Communicum has been the diversification of education through the facilitation of student mobility. In the second stage, researchers of media and communication from the two universities will be facilitated to get in touch with each other and outline possible joint research projects and other forms of co-operation. This entry was posted in Seminars on November 29, 2011 by Heikki Nuutinen. Tervetuloa Communicumin järjestämään tutkimusyhteistyön työpajaan. Työpajan tarkoituksena on olla verkostoitumisen paikka niille Helsingin yliopiston ja Aalto-yliopiston tutkijoille, opettajille ja jatko-opiskelijoille, jotka tekevät työtään media- ja viestintätutkimuksen parissa. Ensimmäinen Communicum-työpaja järjestetään maanantaina 19. joulukuuta klo 14-17 Aalto-yliopiston kauppakorkeakoulun tiloissa Töölössä. Työpajan jälkeen on mahdollisuus nauttia yhdessä naposteltavaa ja virvokkeita. Osallistuakseen työpajaan tulee täyttää ilmoittautumislomake osoitteessa http://tinyurl.com/d7ozgyh joulukuun 4. päivään mennessä. Lomakkeeseen tulee nimen ja yhteystietojen lisäksi kirjata kolme itseään kiinnostavaa teemaa media- ja viestintätutkimuksen kentällä. Nämä teemat voivat liittyä joko tutkimusalueisiin tai menetelmiin. Ilmoittautuneet saavat lisätietoa työpajasta joulukuussa. Communicum-yhteistyöhankkeen myötä luodaan yhteistoimintaa Aalto-yliopiston ja Helsingin yliopiston viestinnän ja median tutkijoiden, opettajien ja opiskelijoiden välille. Perusajatuksena on ”mieluummin yhteistyötä kuin kilpailua”. Communicum toimii tälle yhteistyölle eräänlaisena ihmisiä ja toimintaa alleen yhdistävänä sateenvarjona. Communicumissa ovat mukana Aalto ECONin viestinnän laitos, Aalto TAIKin median laitos, Aalto SCIn mediatekniikan laitos, Helsingin yliopiston viestinnän oppiaine sekä Helsingin yliopiston taloustieteen laitos. Konkreettinen toiminta alkoi lukuvuoden 2011-2012 alussa. Alkanutta lukuvuotta varten kerättiin yhteen kursseja, joita on avattu Communicum-yhteistyössä mukana olevien laitosten opiskelijoille. Toiminnan lisäarvo on siinä, että näin voidaan monipuolistaa kurssitarjontaa sekä saattaa opiskelijoita tekemisiin toistensa kanssa yli yliopistorajojen. Toisena vaiheena on tutkimusyhteistyön fasilitoiminen, päämääränä mm. yhteisten tutkimushankkeiden ja kirjoitusprojektien mahdollistaminen. Participation. Roskilde University, Roskilde, Denmark Aug 12-16, 2012.
arenas and forms of participation. This entry was posted in Seminars on November 24, 2011 by Heikki Nuutinen. Magazine symposium 2011 järjestetään torstaina 1. joulukuuta Aalto-yliopiston taideteollisessa korkeakoulussa, Mediakeskus Lumeen Sampo-salissa (Hämeentie 135 C, Helsinki). Tänä vuonna tilaisuuden teemana on aikakauslehtien visuaalinen voima. Magazine symposium on osa Mediakonseptien suunnittelu -opintokokonaisuutta ja Magazine Design -sivuainetta. 13.00 Kirjainmuotoilija Saku Heinänen: Logojen logiikasta – miten ja miksi syntyy uusi lehden nimiö? 15.30 Graafisen suunnittelun tutkija Nanna Särkkä: Aikakauslehtien visuaalisuutta sanallistamassa – miten saada ote moniulotteisesta kokonaisuudesta? 15.45 Visual power -paneelikeskustelu: Miten brändi viedään eri välineisiin? Miten visuaalista identiteettiä ylläpidetään ja tutkitaan? Vuoden 2012 alussa käynnistyvä Visual power -tutkimus on osa Tekesin rahoittamaa Next Media -tutkimushanketta. Keskustelijoina visuaalisuuden tutkijat sekä mediayritysten edustajat. Vetäjinä Maija Töyry ja professori Pirkko Oittinen (Aalto-yliopisto, mediatekniikan laitos). Tilaisuus on maksuton. Kahvi- ja glögitarjoilun vuoksi pyydämme ilmoittautumaan 23.11.2011 mennessä osoitteeseen nanna.sarkka(at)aalto.fi. Magazine symposium 2011 takes place in the Media Centre Lume / Sampo auditorium, Aalto University, School of Art and Design (Hämeentie 135 C, Helsinki) 1 December 2011. The symposium is mainly in Finnish. Everybody is welcome to attend, but please register by 23 November 2011 by sending an e-mail to nanna.sarkka(at)aalto.fi. This entry was posted in Seminars on November 7, 2011 by Heikki Nuutinen. 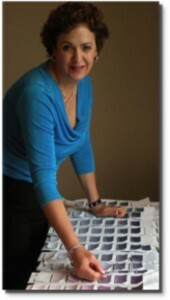 Colorist Denise Turner’s Lecture, November 29, 2011, 10:00-11:30, Media Factory. Color specialist and consultant Denise Turner will be giving an open lecture “Colors Unveiled” aimed for designers. Colors Unveiled is a fusion of Color Physiology, Color Psychology, Cultural Color and marketing. She will present some of the 2012 European color trends and what’s driving them. She give insight into the LOHAS phenomenon and how it’s changing color and design trends, explain how colors affect your emotions, behavior, energy level and health. She will also explain how CMG (Color Marketing Group) Color Forecasters track colors and trends; see how they turn their knowledge into sellable goods. Denise Turner, ASID, CID, CMG is an award winning international colorist, certified interior, color & design trend forecaster, speaker, author and president of the Color Turners. She guides businesses and manufactures to achieve greater success with their own color, design and marketing dilemmas. Denise has been a student of Asian Studies for over 15 years, with an emphasis on health. She is an authority on Color & Culture, Color Psychology and Color Philosophy; she combines her unique background to enhance her client’s competitive edge. Denise regularly appears in press, as a spokesperson for ASID National and, CMG Expert Speaker’s Bureau. She’s the Color & Design Trend Columnist for Home Portfolio Magazine, CMG Chair holder, ASID professional member, former ASID chapter president and UCLA graduate. 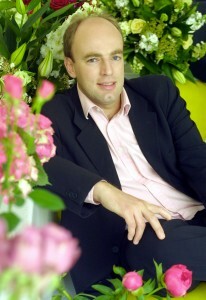 Professor Charles Spence, will be visiting School of Art and Design on December 1, 2011. He will give a brief presentation about recent multisensory research being done at Oxford University in room 4319 at 10:00–12:00. This should be interesting for anyone who interested in sensory design, user experience and perception of designed objects! After the presentation students and staff have a possibility to ask questions and opportunity to discuss their own research objectives and problems with him. Spence is one of the keynote speakers at Lohaspack-seminar on 30.11.2011 at Design Factory. (http://www.ptr.fi/lohaspack/) This seminar is also open to public, but requires registration before November 23, .2011. Professor Charles Spence is the head of the Crossmodal Research Laboratory at the Department of Experimental Psychology, Oxford University (http://www.psy.ox.ac.uk/xmodal/default.htm). He is interested in how people perceive the world around them. In particular, how our brains manage to process the information from each of our different senses (such as smell, taste, sight, hearing, and touch) to form the extraordinarily rich multisensory experiences that fill our daily lives. His research focuses on how a better understanding of the human mind will lead to the better design of multisensory foods, products, packaging, interfaces, and environments in the future. His research calls for a radical new way of examining and understanding the senses that has major implications for the way in which we design everything from household products to mobile phones, and from the food we eat to the places in which we shop, work and live. His research has major implications for multisensory branding. He is currently working on problems associated with the design of foods that maximally stimulate the senses, and with the design of multisensory branding and packaging. He has also worked extensively on the effect of the indoor environment on mood, well-being, shopping behaviour, and performance. Charles has acted as a consultant for a number of multinational companies advising on various aspects of multisensory design, packaging, and branding over the past decade, including Unilever, Procter & Gamble, Toyota, BMW, ICI, McDonalds, Quest, Firmenich, Britvic, Neurosense, Baiersdorf, Nestle, SSL International, VF Corporation, Mars, Starbucks, Elopak, Faraday Packaging, Takasago, Reastaurant Denis Martin, and The Fat Duck restaurant. Charles has published more than 400 articles in top-flight scientific journals. Charles has been awarded the 10th Experimental Psychology Society Prize, the British Psychology Society: Cognitive Section Award, the Paul Bertelson Award, recognizing him as the young European Cognitive Psychologist of the Year, and, most recently, the prestigious Friedrich Wilhelm Bessel Research Award from the Alexander von Humboldt Foundation in Germany. Ilmoittautuminen: 23.11.2011 mennessä oheisella lomakkeella. This entry was posted in Seminars on November 1, 2011 by Heikki Nuutinen.